If you were to go around asking people if they trusted their government, or if they thought government was doing a good job; most of them would answer in the negative. This current sit-in by Democrats because they are unhappy that their gun control measures have not passed is a perfect example of how ridiculously pathetic our government has become. The problem, at least how I see it, is that people do not take the time to try to understand the nature of the problem; they just continue to vote new assholes into power every couple of years and pray that things will get better. I don’t care how virtuous or altruistic these newly elected officials are, the entire system is poisoned and corrupt and voting fresh meat into power every couple of years is not going to fix that. For one thing there is too much outside influence wielded by special interests. Those who hold the seats of power may pander to us for the votes that get them into office but their loyalty is to those who fill their campaign coffers with cash; or worse, those who have incriminating evidence of their corruption and who are blackmailing them into supporting measures that are harmful to the public. When I speak out against my government or say things about it that people find offensive I am frequently told that I am unpatriotic. Nothing could be further from the truth! People confuse patriotism with blind support of all the government does, with voting in every election and paying your taxes on time. That’s not patriotism, at least not as far as I’m concerned. That’s being a sheep and following the herd without actually thinking about which direction the herd is going. Patriotism, at least for me, is not only loyalty to the principles for which our Founders fought for during the Revolution, but a willingness to defend those principles against any and all attacks. If that means I find myself at odds with the majority of the people I encounter, so be it. If our Founders were anything, they were students of human nature. Had you spent the time reading their writings that I have you would have seen that much of what they wrote was of an admonishing nature; warning us of the dangers of apathy or a loss of respect for our most sacred rights. They understood that over time a people will lose respect for their rights and that their safety, their security, and even their comfort will take precedence over freedom. I don’t know how much clearer it could be said than that. I think our Founders new that there would be a day when the people had lost concern over the limits imposed on government, or the security of their rights, and would allow government to become big and oppressive. What I don’t think they saw coming was the willful ignorance of the majority of the people alive today. It’s almost beyond my comprehension; and I’m witness to it on a daily basis; so how could they have foreseen the day when facts and truth no longer matters to the people of this country? I do not expect people to spend every spare moment studying their system of government, or the history of their country; but to go through their lives not knowing a damned thing about either is about the dumbest choice a person could make. It’s ridiculous how ignorant some people in this country are; truly ridiculous. Ask them who we fought against in World War II and they come up blank. Ask them who we fought against in the War of 1812 and they just shake their heads. If they don’t even know who we fought against in these wars, how can they be expected to know the why regarding them? But nowhere and I mean NOWHERE has there been such a concerted effort to mislead the people of this country than when it comes to the Civil War. 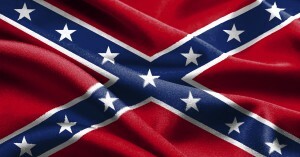 Just mention that you support the Confederacy and the things they fought for and you are called racist. The same goes for any public display of the Confederate Battle Flag. The indoctrination has been so effective that no matter how much evidence one provides to the contrary, people still believe that the North fought the Civil War to free the slaves, while the South were racist pigs who only cared about keeping theirs. It doesn’t matter that one can prove Lincoln said he had no desire to interfere with the institution of slavery. It doesn’t matter that Lincoln thought the black man was inferior to the white man. It doesn’t matter that Congress had passed a proposed Constitutional Amendment making slavery permanent in the United States. All that matters is what people have been brainwashed into believing; that the North fought a righteous war to free the slaves and that Abraham Lincoln was almost godlike in his concern for the black man. Prior to the Civil War there had been minor skirmishes between our government and those it represents; the States and the people. When government began to get too big for its britches the States, or the people, resisted and government tended to back off. Yet it’s goal of obtaining absolute and total control over the States and the people was never completely abandoned; it was just temporarily put on hold. The Civil War happened when a portion of the country exercised their fundamental right of leaving a voluntary union of the States and forming a system of governance which best suited their needs. This is the basic premise contained within the Declaration of Independence, and is therefore fundamental in whatever system of government which would be established in its wake. Our government was created, depending upon who you ask, either by the people of this country, or by an act of the States. The implications of who actually established it is subject to much discussion and not really of concern at the moment. What is important that you realize that as an entity created by the Constitution it was a servant of those who created it. No servant has the right to tell its masters that they cannot fire it, or seek to severe the terms of the agreement which bound them to it. But that’s exactly what happened with the Civil War; the Southern States had put up with enough of the federal government’s interference, abuse, and violations of their sovereignty and sought to peacefully separate and form a union of their own with its own system of government to better secure their liberty. Abraham Lincoln told them, by the raising of an Army of 75,000 troops, that government was master over the States and the people, and that it would not allow a portion, any portion, of the union to exercise what was widely believed to be their right; that right being to secede. It matters not if the South did in fact secede over the issue of slavery or whether they didn’t; the right to secede was considered by most to be fundamental. Many States had declarations stating such in their Constitutions, or in the documents declaring that they had ratified the federal Constitution. Abraham Lincoln took the nation to war to prevent the South from exercising that right and that’s ALL the Civil War was about. If you formed a partnership with a few close friends and then one day decided to strike out on your own and seek your own success, then your friends called the cops and sent them to arrest you and force you back into being partners with them, you would be outraged. But that’s exactly what Lincoln did when he told the South they could not leave the Union; he used military force to compel obedience to ‘governments’ dictates. The Civil War was the beginning of the end in this country; a major turning point. It was with the North’s victory that we saw government go from being a servant of the component parts of the Union to the master over all of it. We have never looked back and government has grown bigger and far more oppressive than the one which the Confederacy fought to free themselves from, and a thousand times more oppressive than the one our Founders fought to free themselves from. But do the people of this country notice? Hell no, they go around thinking that if they could just give the Republicans, or the Democrats one more chance they will fix all that is wrong in this country. It’s the actions of a lunatic to keep repeating the same thing over and over, expecting different results. 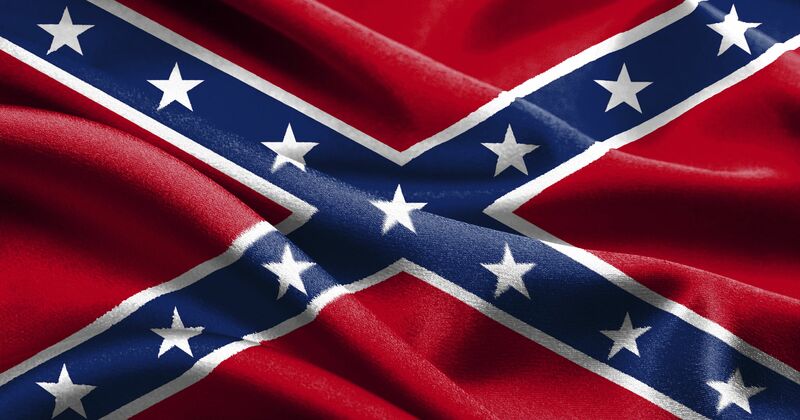 That is what the Confederate Battle Flag, and the Confederacy represent to me; the last dying gasp of liberty in this country. Since then we have been a nation of sheep, herded around by our government believing that it is we who are in control when the reverse is actually true. Liberty, rights, freedom can only exist when the people these belong to exert it; when they meekly submit to, or support measures by their government which further restricts these things they are not free; they are slaves. But if you were a true patriot, not a faux patriot who stands behind political parties and catch phrases like Hope and Change, this would represent what you stand for. However, seeing as how this only offends most people, I can only make an educated guess as to where their loyalty is; and it certainly is not to the liberty.